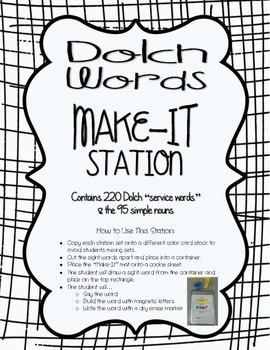 I have revamped my popular Sight-Word Make-It Station to target the Dolch Word list due to several requests. Your students will practice reading, spelling and writing the 220 Dolch service words plus the 95 Dolch simple nouns. 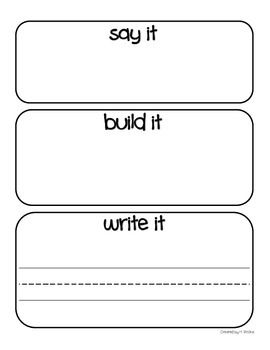 This is perfect as a station activity once it has been introduced and modeled by the teacher. 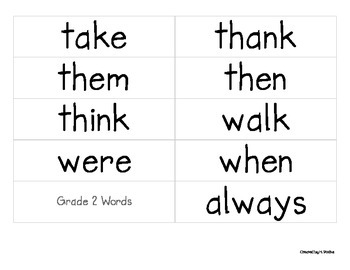 It also works well as a small group intervention activity when words are thoughtfully selected in advance by the teacher to target students' needs. Students pull a word, read it, build it, and write it. My students love this activity. The words are organized by grade level (pre-primer to grade 3) and the 95 nouns are separated at the end of the set. 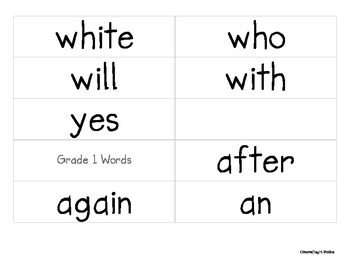 Changing the words out periodically keeps this activity fresh and fun!